(Live Mint) – A day before the inauguration of Donald Trump as the 45th president of the US on 20 January, the former prime minister of Canada, Stephen Harper, gave a keynote address on foreign policy in New Delhi. 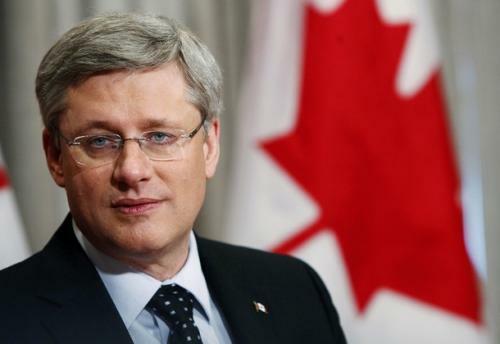 It was noteworthy not just because of its timing, but as Harper’s first major public address since stepping down as a member of Parliament in August 2016, following the defeat of his Conservative government in November 2015. This capped almost a decade in office for Harper, who by any account was the most genuinely “small-c” conservative leader the country had in decades. Harper’s address was as topical as one could have wished for, focusing on the growing geopolitical and geoeconomic uncertainties coming out of the UK’s decision to leave the European Union (“Brexit”), the election of Trump to the presidency of the US, and the rise of putatively populist political parties across Europe (although, interestingly, not as yet in Canada). What unites all these events, he argued, was how absolutely they confounded the experts and the pundits. Harper recounted a 2008 conversation in Gdańsk, Poland, with Lech Wałęsa, leader of the Solidarity trade union and later, president of Poland. When on 14 August 1980 Wałęsa famously scaled the fence of the Gdańsk shipyards and set in motion a series of events which culminated in the collapse of communism in Eastern Europe and the implosion of the Soviet Union itself, how confident was he of success? Wałęsa was very confident of success, he recounted to Harper, for three principal reasons. First, Poland was a Western country, not naturally part of the Eastern bloc, and its people didn’t believe in communism—not even its notionally Communist leadership. Second, the election of John Paul II, a Pole, as the Roman Catholic Pope inspired many Poles, who felt that here was an important international figure, formally outside the political system, who understood and shared their struggle and supported their cause. Third, Wałęsa, who was an electrician by trade, felt the rise of modern technology, information technology (IT) in particular, was something with which the intricate system of controls in a Soviet system would not be able to cope. The collapse of the Soviet Union and its satellite states was “the most sudden and complete collapse of a major power in human history”, Harper argued, ushering in the unipolar, globalized world order which existed from 1990 to the present day, but which is currently under threat. Fast forward to today, and the same forces that destroyed the Soviet system, Harper contended, have continued and, indeed, accelerated, eroding power throughout the world—including state power, upon which the global order is ultimately based. The ultimate paradox, in other words, might just be that the forces that created our globalized world might ultimately have undermined what they created, however unwittingly in either case. As Harper observed, the same forces Wałęsa noted as long ago as 1980 are in play today—rejuvenated ethno-nationalism, leadership coming from outside government, and a technological revolution, in particular an IT revolution. Via a smartphone, almost everyone on the planet can now receive vast quantities of information, in real time, tailored to our individual preferences (or prejudices), and, unlike with newspapers, radio, or television of the past, everyone can now transmit, not just receive, information, and “network around such information”, as Harper put it. The upshot is that “everyone is becoming politicized, on their own terms”, in Harper’s words, and now it need no longer be local—it can be wide, global, and outside established channels of governance. This can be a force for good or for ill. As an example of the latter, Harper suggested: “…from the straits of Gibraltar to the borders of India, more and more lands are gravitating to ungoverned spaces dominated by a political vision of Islam which rejects global order and the nation-state”. Groups such as the Islamic State (IS) typify this outcome, Harper argued—they are little better than “gangs with guns and cellphones”. In a different vein, suggested Harper, China, which has liberalized economically but not politically, is trying to use IT to boost its flagging growth rate, but simultaneously its political leadership is trying to limit the use of IT by its populace for political activity, so as to maintain the social and political control of the Communist party. In the Western world, the battle lines have been drawn, as Harper argued, between a transnational, multicultural, polyglot elite—an elite who believe in open borders, migration and free trade because “we are the people who cross borders”—and folk who “live within borders, on the ground, in flyover regions”. These are people whose concerns are local, not national nor global, and who cherish local, not multicultural, identities—identities which they believe are threatened by the flattening and homogenizing forces of globalization. In a context in which the establishment consensus is “increasingly irrelevant”, merely reasserting this view, and deriding its critics as “stupid or bigoted”, is not a productive way to influence opinions, Harper argued—correctly, in my judgement.